On 5th October, 2003 Derren decided to embark on an effect that would set the nation talking: Derren Brown Plays Russian Roulette. Derren cheated death by firing a six chambered revolver loaded with one live bullet at his head. This created the desired effect and caused much public uproar and filled practically every national newspaper. Derren says he is legally bound not to disclose any details of whether the bullets used were live or blanks due to the Jersey Police’s inquiry, although he is increasingly suggesting that they were in fact not blanks. However, logic says that there could be a number of different ways of ‘safely’ carrying out the effect – I know how I’d do it – but either way, it was gripping and heart stopping television. 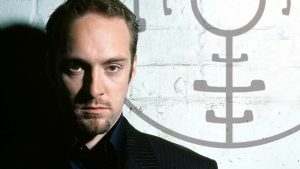 Derren Brown Plays Russian Roulette is available on Channel 4’s All 4 On Demand service. Alternatively you can buy the DVD.